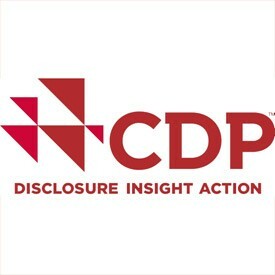 CDP is a not-for-profit charity that runs the global disclosure system for investors, companies, cities, states and regions to manage their environmental impacts. Over the past 15 years they have created a system that has resulted in unparalleled engagement on environmental issues worldwide. From children who call for leadership to ensure they have a future, to leading political figures tasked with protecting their populations and economies, to local business owners trying to ensure a stable physical environment for their operations, staff and families, people around the world are becoming far more vocal about climate change. Tackling climate change is arguably the most difficult challenge humankind has ever faced, requiring a drastic re-write and urgent implementation of a global work plan with ambitious actions needed from governments worldwide. Underpinning every country’s climate change strategy are Nationally Determined Contributions, known as NDCs, which are commitments and plans to ensure fundamental reductions in greenhouse gas emissions and enhanced resilience, designed to deliver the objectives of the Paris Agreement and limit global temperature rise. The Paris Agreement addresses all levels of government and other non-state actors, calling for the necessary ambition in urgently tackling climate change. Nations are due to submit and ratify updated NDCs in 2020 with the aim of limiting warming to 1.5°C. As commitments stand now, we’re on track to experience a temperature rise of between 2.9 and 3.4C, with climate change spiralling out of control. Cities and regions on their own are taking ambitious action but the only way nations can take that action into account and understand the contributions of local and regional governments is through robust subnational climate reporting. Nearly 1,500 cities worldwide, from Bangkok to Buffalo, report their climate data to CDP and ICLEI. In this way, local and regional governments can better understand and think about the climate risks they face and create comprehensive adaptation plans and emissions reduction strategies. Through reporting, local and regional governments gain data-driven insights into gaps and opportunities for policy development, resource management and investment that is aligned with meeting the goals of the Paris Agreement. Because this type of reporting is so crucial to the climate effort, CDP and ICLEI are partnering to provide one unified reporting system for local and regional governments. The launch of this unified system this month will save local and regional governments precious time and resources. It will also result in more comprehensive and holistic data to inform the global climate movement and see where finance has to flow to scale up climate action. Many local and regional governments are grabbing the bull by its horns and delivering strong climate pledges and actions on emissions reduction and climate resilience. For example, Vancouver has declared a ‘climate emergency’ and is focusing on new ways to reduce greenhouse gas emissions, while Cape Town has set a target of 100% GHG emission reduction by 2030 compared to 2010 levels and is on track to achieve the 1.5C goal at the city level. Vancouver and Cape Town are part of a fast-growing cohort of cities and regions setting bold climate targets. By late 2018, 120 regional governments in 32 countries had reported a commitment to cut emissions by over 6% a year to 2050. Over 300 towns, cities, counties and regions have also set targets to become 100% renewable, across the community or in a specific sector. These commitments reflect the ambition of local and regional governments to scale up renewable energy initiatives focused on power, heating/cooling and transport. Indeed, since the signing of the Paris climate agreement in 2015, the number of cities that are creating climate action plans has doubled to more than 300 and over 270 of those have set climate emissions reduction targets. For example, the city of Cleveland in Ohio has plans to reduce greenhouse gas emissions to 80% below its 2010 level by 2050 whilst Sydney has a target to reduce its carbon emissions by 70% by 2030 through major investment in renewables. Cities also need to undertake adaptation planning. In 2017, Mexico City was the first city in Latin America to issue a green bond, raising one billion pesos ($50m) for projects including water security, energy efficiency in public lighting and subway infrastructure. These impressive actions and commitments have not been promised out of thin air but are based on solid data that was reported to CDP and ICLEI. The October 2018 report by the Intergovernmental Panel on Climate Change (IPCC) suggested that we have around 12 years to take the bold steps needed to maintain a relatively stable global climate system. NDCs need to be firmed up fast and progress towards them must be reported and tracked. Stories of positive actions, such as those enabled by the CDP and ICLEI’s unified reporting system, have a lot to contribute to the global stage. When parties at all levels, from the biggest governments and business in the world to megacities and rapidly urbanizing regions, start to freely communicate, act and deliver, we have a real chance of solving the climate conundrum. Kyra Appleby heads CDP’s Cities, States & Regions team and Maryke van Staden leads ICLEI’s Center for Local Climate Action and Reporting (carbonn Center).